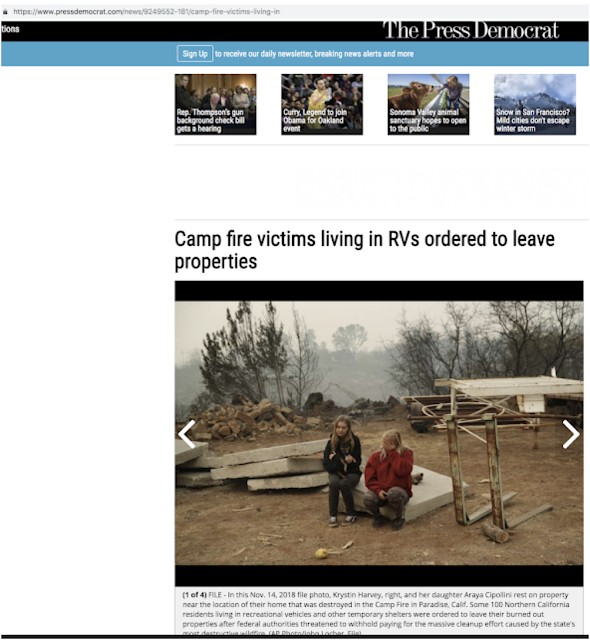 SAN FRANCISCO — Hundreds of Northern California wildfire victims desperate for housing and living in recreational vehicles on their burned-out lots were ordered off their properties Monday after federal authorities threatened to cut off funding for the state’s biggest natural disaster cleanup. “Until they’re cleared of fire debris,” more like until FEMA can grab all the melted power lines, burned out & fried smart meters, and all other evidence of Genocidal Arson by PG&E. We The People of America.